UPDATED: Nityananda's App Day - Feb 20, 2016 ~ The Toronto Hare Krishna Temple! One of the sweetest festivals of the year Nityananda Trayodasi will fall on Saturday, February 20, 2016! A warm invitation goes out to you and your family to join us as we celebrate the advent (appearance) of Lord Nityananda. Lord Nityananda (also known as Nityananda Prabhu, Nitai, Nityananda Balarama) appeared in the village of Ekachakra, in West Bengal, India, around 1474. In the Caitanya Caritamrita and other scriptures He is declared to be the avatar of Lord Balarama, the direct expansion of the Supreme Personality of Godhead, Krishna. He is honoured as Lord Chaitanya’s principal associate for spreading the congregational chanting of the holy names of the Lord. It will be a special day of celebrations and there are also many sponsorship opportunities still available for the festival: garlands, flowers, aratis and festival feast. To sponsor, please contact us! 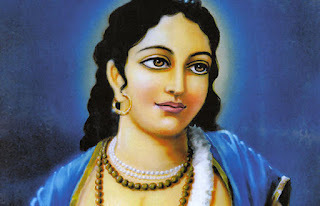 All devotees are encouraged to wear their favourite blue-coloured outfits in honour of Lord Nityananda, who is often depicted wearing blue clothing! Definitely one of the sweetest festivals. Hare Krishna. Very nice darshan, amazing presentation and excellent prashadam. Hari Bol. So glad you enjoyed the festival! It was indeed amazing! Stay tuned, we will be posting an official "Festival Report" with pictures very soon! Hare Krsna!